Can You Solve the Hardest-Ever Sudoku? A Finnish mathematician claims to have designed the world's most difficult Sudoku. The numerical puzzle took Arto Inkala three months to design, and it has only one solution - one that only the sharpest minds will discover, he told the Daily Telegraph. 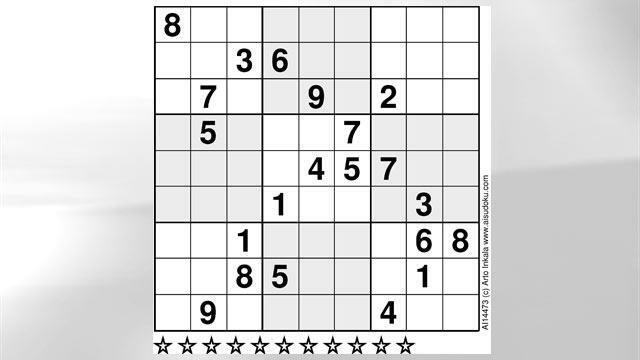 A daily fixture of many newspapers along with crossword puzzles, Sudokus are solved by filling in a grid so that each column, row and nine-box square contains all nine digits. With only 23 of the grid's 81 boxes filled in, the difficulty of Inkala's puzzle lies in the number of logical deductions needed to fill a single box, he told the Telegraph. Few moves will reveal themselves based on boxes already filled in, forcing a wearying trial-and-error approach for those without astronomical IQs. While Inkala said he believes his is the most difficult Sudoku made to date, he predicted that an even harder puzzle will one day emerge. "There are so many possibilities to formulate that [I think] the most difficult one has not yet been found," Inkala said. If you have dared to try filling in Inkala's grid without genius-level intelligence or limitless patience, fear not: here is the answer.